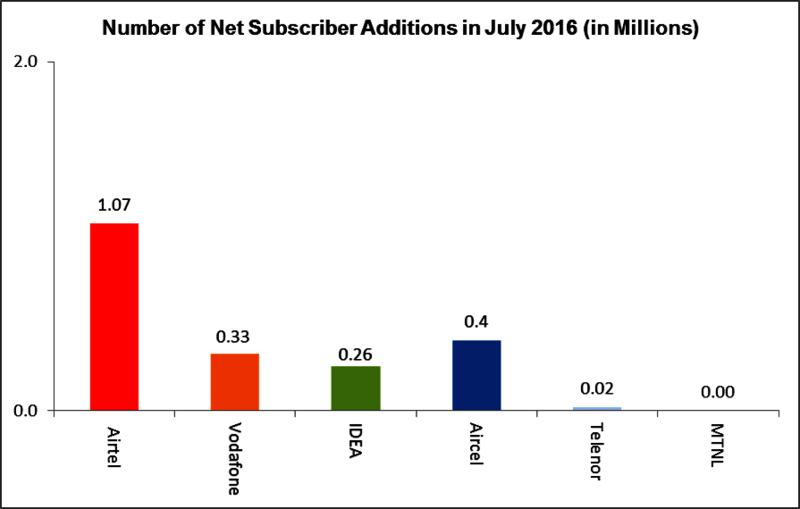 COAI releases telecom subscription figures for July, Airtel continues to add maximum new subscribers. Major GSM telecom operators including Airtel, Vodafone, Idea Cellular and Aircel, added 2.08 million subscribers in July, as per data released by industry body COAI. The combined subscriber base of all the six members reached 779.05 million by the end of the month, which is 0.27% more when compared to May 2016 subscriber figure of 776.97 million. Telecom major Bharti Airtel led the growth by adding 1.07 million net new subscribers taking its total mobile customer base to 256.81 million at the end of July. Maxis owned Aircel who is in advanced stages of merger of its wireless operations with RCom, added 0.4 million customers. Vodafone India was at third spot, and added 0.33 million customers to their network. Telenor’s Indian unit only added 0.02 million subscribers as a result of customers moving to data focused networks for getting better data speeds. Aditya Birla group’s Idea Cellular added only 0.26 million customers, after posting negative addition in 9 circles. On the other hand MTNL which operates in Mumbai and Delhi remained flat after not getting new subscribers. The data released by COAI , did not include latest subscriber number of state-run public sector unit BSNL. Other GSM players, Tata Teleservices, Reliance Communications and Quadrant (Videocon Punjab), also do not share their subscriber numbers with COAI as they are not its members. 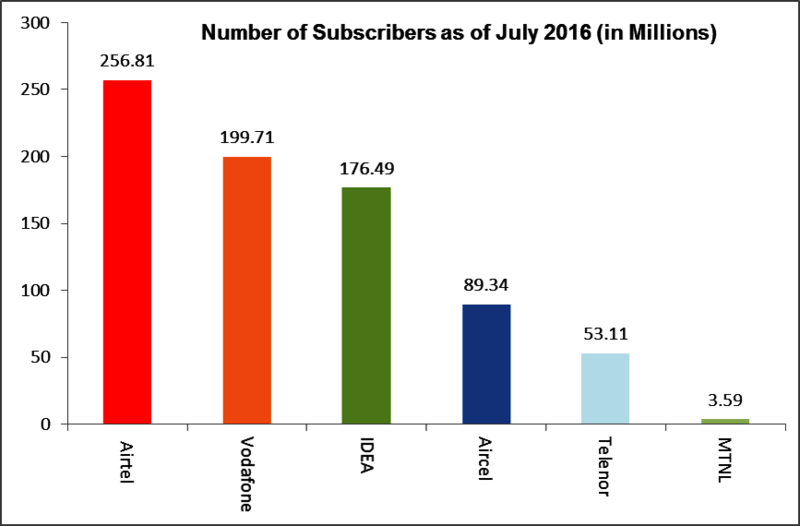 UP East remained the top telecom circle with 71.32 million GSM subscribers and Kerala topped the chart in terms of maximum subscriber additions in July. While 7 circles including J&K, Maharashtra, UP West, Haryana, Bihar, Rajasthan and Madhya Pradesh posted negative growth. Jio will have to top this chart first. It’s very unlikely that Jio would even achieve 1 million subscribers per month in first year. Their dream of getting 50 millions within one year will always be a dream. Lulz.